Only 1 voucher can be redeemed per order. Costeno Amarillo chilli seeds come from the Oaxaca region in Mexico and are used traditionally to color the Mole sauces yellow. Trapadeira do Werner is a very productive type from Brazil. Bulgarian Carrot, the name says it all. The fruits grow strait and turn orange when they are ripe. It can be easily be mistaken for a carrot. A aple pepper in apearance that is hotter and that is perfectly suied for filling or for other uses. 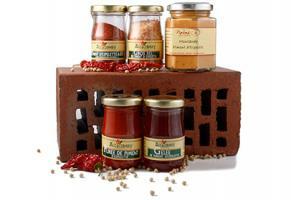 A chilli of bright orange color with medium heat originating from Kosovo. Extraordinary colorful chilli variety with a big growth. Hungarian Wax appears wax-like when they are unripe, hence the name. A little hot sun greeting. Small and compact ornamental variety whose fruits ripen from a bright yellow to a deep orange. Ripens up a bright splash of color in the autumn garden and is planted in groups very decorative in the garden. Guarda Cielo is an italian variety that grows relatively compact. Rare attractive chilli type from Egypt. No heat, perfect for salads. Turkish type with fiery orange ripened fruits growing in a long, slim and spiral shape. Beautiful and high yilding Baccatum with a lot of orange fruits. Now in organc quality! Fish Pepper traditionally gets used in the USA for fish dishes. Beautiful Baccatum with a decent heat under its red Florentine coat. Now in organc quality! Hungarian Wax appears wax-like when they are unripe, hence the name. Rocoto very often the common name for all C.pubescens. Here in a red version! Now in organc quality! One of the chilli types that makes up the famouse Pimenton de la Vera powder. Now in organic quality! The CPI in New Mexico has produced this Habanero breed that doesn't have any heat. 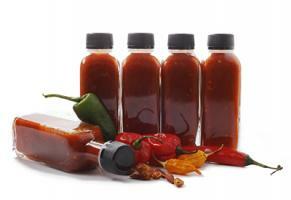 For all those who love the Habanero Orange flavor but do not want any heat. +++NEW+++ Mexican strin in red - Here the right words are: olé, Molé, olé! Chilli seeds in pro quality for your own chilli growth – from Habanero to Bhut Jolokia and up to extraordinary wild varieties. 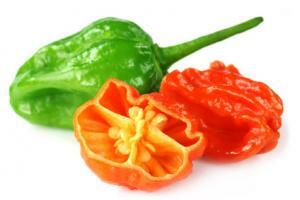 Here you can find a selection of high quality chilli seeds for growing your own chilies. Chilies can be found in many different variations and heat degrees. Depending on your own taste you can grow mild up to hot chilies. 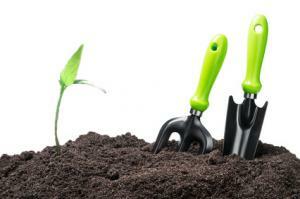 One of the major factors when growing is the quality of the seeds. If you want to harvest a specific variety, then you need “clean” seeds for that. This is why we deliver selection seeds that come from well-known producers. 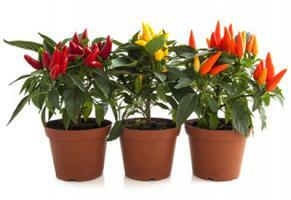 A lot of chilli varieties are suited for a container or for the balcony. Chilli seeds delivery with DHL starting now in Germany, Austria and the EU for 2.5 EUR! This way you can react at any time to new offers and products with no big additional costs. This way you will not get as angry if a certain product is not in stock any more. Because we source the chilli seeds from experts from around the world the availability of certain varieties will be scarce. Get a notification when the product is back in stock – a lot of people have missed this option in the shop! Now the option is again available! Simply type in your E-mail address and you will receive a notification when the product is back in stock. Of course, we will offer you besides the Chiliheads Advent calendar (from which we have only a few more pieces on stock) also further seed specials during the season, as soon as the development is done. Simply register for the newsletter and receive once a week news from the Pepperworld! *with our 100% satisfaction guarantee in the new growing season! Did you plant the seeds according to the instructions? You are not satisfied with the percentage of the germination? Chilli seeds with a high germination ratio, this is how we test! What came first, the Chilli or the seed? A philosophical question to the chilli subject? No, this does not need to be explained, because today it is clear: Who wants to have a chilli plant knows that this grows from a seed. There is more to the domain chilli seeds then just that the plant grows from a seed. Chilli seeds as unobvious as they may seem at first glance, are as different as the plants themselves. Not just only the dimensions of the seed differ from variety to variety, but also the number of grain as well as the colors that the seeds have. The smallest seeds are those of the wild growing chilies. Seeds of the variety capsicum rhomboideum, capsicum lanceolatum and some of the Thai chilies of the variety capsicum frutescens are so small that they rarely grow over one millimeter. Some on the other hand, especially the seeds of paprika or Rocotos can reach a diameter of four up to five millimeters on the wide parts. This wide part leads directly to the next characteristic, the form. Most of the chilli seeds have the same form: they are relatively flat and the slices are not quite round. Then this is valid for most of the seeds – although there are also prolonged or semicircle formed seeds and some that almost round. The last ones are exceptions that are more common amongst the wild chilli varieties. When it comes to the color of the seeds, the most common color is a bright yellow. Capsicum annuum, capsicum baccatum and capsicum chinense as well as capsicum frutescens have all these traits. The color ranges from a very bright pale yellow to a saturated yellow. Rocotos on the other hand are different: the color of the seeds varies from a strong dark brown almost up to black. Balck are also the seeds of wild varieties: capsicum lanceolatum and capsicum flexuosum as an example. A brown can be observed in capsicum rhomboideum or in a crossbreed between Rocotos and capsicum eximium. A light brown can be seen in the capsicum eximium. Red, pink and blue does not appear naturally, but it can be bought. The reasons can be very varied: either the seeds are coated in a layer of color in order to signal them by color, or in order to distinguish them that they have been treated in a certain way. Of course, there are also colorings that are made only for esthetic purposes. Last but not least this is made to get a bit more money for the seeds. Please pay attention when buying Rocoto seeds from the far east – here it is sometimes the case that “normal” capsicum seeds are used that have only been colored. When studying a chilli under a powerful microscope, we can observe the following: for many of the seeds the exterior is not as smooth as it seems at first sight. A lot of wrinkles can be found on the exterior of the seed. The rule applies – the better a plant wants to protrude into the earth (in its natural environment), the pronounced is also the exterior wrinkling. The reason behind this is simple: if the seed can skin easily, then the energy that needs to be consumed by the plant is not that great (and this leads to roots that are not powerful). The plant does not need to build a special structure in order to protrude deep into the earth and to develop quickly. The smoother seeds are an indication that the plant likes more the loose ground (that applies in principle for the chilies). In the inner pat of the seeds is, as mentioned before, a soft core. And this is the actual core that leads to the germination – this can be seen clearly in the microscope x-ray – that is stored in a tiny round form. 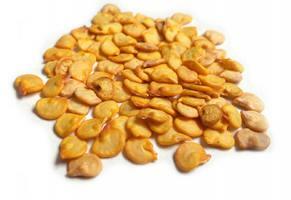 With this method the quality of the seeds is also tested on an industrial scale. This is the reason why the shell is important for the seed – and is applicable also for the handling. If it is pressed hard it dies. If the seeds are sent via post, then it makes sense to use a small pillow (this can also mean two or three sheets of paper that are stacked loosely one on top of each other). In the sorting process of the post there is the danger that the seeds get pressed to hard. Ideal is the use of airmail film. Like any other plant, the chilies also need water in order to grow. The seed is awakened from its sleep by the water that goes into the core. If the temperature is also right then the seed has all the conditions that it needs in order to grow. This is also the key to deposit the seeds: the seeds have to be stored in a dry and cool place in order for them to germinate properly. If moisture enters the sell when the temperature is not right and is not high enough, there is the risk that the seed develops mold. If the temperature is too high and the moisture to low, there is the possibility that the seed dehydrates too much. The perfect storing conditions for seeds is done with a humidity of the seeds that is of five percent and a temperature that does not exceed then degrees Celsius. If the seeds have to be stored for an extended period of time – and chilli seeds are perfectly suited for this – they are brought to a rest moisture of under five percent (in an airproof container to which silica is added) and are then stored at -18 degrees Celsius. Through this method the seeds can germinate also after 25 years if during the freezing phase and defrosting phase no condensation is formed. The gene bank reports of seeds from the Inka ruins that have been found after more than 1000 years and which were still able to germinate. If you want to bring a seed to germination, then you need as mentioned before water and a certain temperature. The lower end of the needed temperature is hard to define – but below 15 degrees Celsius not a lot is going to happen. Optimal are, depending on the variety, between 25 and 35 degrees Celsius that should have a temperature difference in the different hours of the day of maximum five degrees. In a certain way you can consider the seed as a baby: it likes it best cuddly warm. Temperatures above 38 degrees, should be exactly like for humans avoided because these influences or even destroys certain proteins. A good method to bring the seeds to germinate is to bring them over a heater because the temperatures in the winter are there hot enough. Ideal is not to put them directly on the heater because the temperature at the surface can become quite hot but to leave at least an arm with better two or three above the heater as a space. It is not a good idea to place the germination tray directly on the windowsill: a lot of windowsills are so projected that the interior pat continues directly to the exterior and these can transfer the exterior cold inside. This is why the temperatures on the windowsills are not appropriate – but with the help of a thermometer this can be easily checked. Like in any other area of life, we want also to optimize the germination percentage of our chilli seeds. This means: we want to have the best germination percentage, which is also possible. As an example we can take directly nature. In a natural way, the chilies are spread by birds. The most birds do not have the necessary receptors in order to feel the pain – they consider the berries as sweet small fruits that have great colors. Once they have been eaten they pass through the digestive system of the bird where the exterior shell of the seed is softened thanks to the acids in the stomach. Then the seeds are expelled together with the necessary fertilizer. The simplest method to aid this is not to feed a bird with chilies and afterwards to search the seeds in the dropping. The seeds simply need to be soaked before. Because the seeds are already free of the fruit, the simplest way to do this is to dunk the seeds in distilled water or in saltpeter solution. If the method with water is used, the seed shell turns soft, and the moisture can protrude more easily into the interior and the shell can be more easily broken this way. Saltpeter solution has as en extra effect that the shell gets more fragile, exactly like in the case of the digestive system of the birds and the germination is done more easily. Doesn’t matter if you use water or saltpeter solution, they both work. The seeds should not be soaked for more than 24 hours (especially if you soak them in the saltpeter solution). 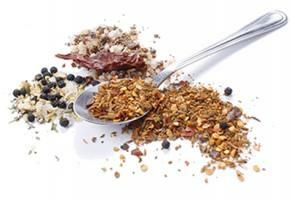 It is not advisable to use germination aids like chamomile tea or coffee. Especially in the chamomile tea – even though initially it can act as an antiseptic, germs develop rapidly and this can lead to mold forming in the seeds. If you want to imitate saltpeter, you can use a tweezer and very fine sandpaper (works also with rough leather) and you can prepare the corn in a mechanical way. This needs a lot of fine feeling in order not to take to much of the shell and not to squeeze the corn with the tweezer. Moreover, there are on offer further aids like hormones that help the germination and other – if these have the desired effect or not is still to be proven. In different test it has been shown: a soaking in water helps grow the germination percentage a little bit, and there is no difference to be observed if this is dome in a chamomile tea! The saltpeter solution only grows the germination percentage lightly compared to normal water. In such an experiment that has been made on 20 seeds capsicum pubescens we have had the following results: unprepared, directly in the earth 17 out of 20 seeds have germinated. The seeds that have been left to soak in the water for 24 hours, 18 out of 20 germinated. The same result could be seen for 24 hours of soaking in chamomile tea. If the seeds have been left to soak in saltpeter solution the result was 19 out of 20 that have germinated. In a further experiment, but this time with Jalapenos the result was for all the different scenarios 19 out of 20 – so there was no difference to be seen. It is best to use such a preparation if the seeds come from a variety that is known to have a difficult germination like for example the wild chilies.